Use the BimlScript editor to create, edit, preview, and execute BimlScript files. Type Biml and BimlScript into the BimlScript Input Editor. As input is entered, the Expanded BimlScript editor displays a live preview of the generated Biml from the BimlScript. Once finished, press the Expand ribbon button to generate real Biml from the BimlScript that is added to the project. Expand Execute the BimlScript; the produced Biml is applied to the project. 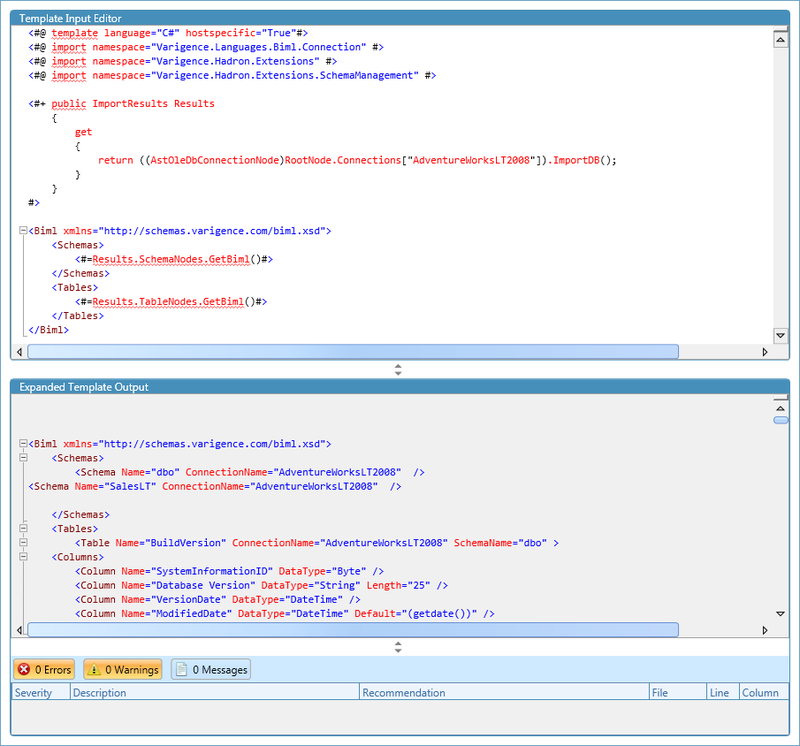 Check Biml Syntax Evaluate that correct Biml syntax is used in the BimlScript output. Auto Format XML Activate to have BimlScript output be formatted automatically.